This week is the Photokina trade show in Cologne. The show officially opens to the public tomorrow, but Tuesday saw a day of press conferences and other events. A reader just sent in this image of a Profoto adapter for the Godox Witstro AD200. A round connector with a protruding bare flash tube, this is clearly a distinct product from both the Godox H200R round head and the EC200 extension head. If confirmed, this could give Godox users direct access to (some subset of) Profoto light shaping tools. It remains to be seen whether the Godox head would be able to support the Swedish manufacturer’s larger or heavier modifiers. 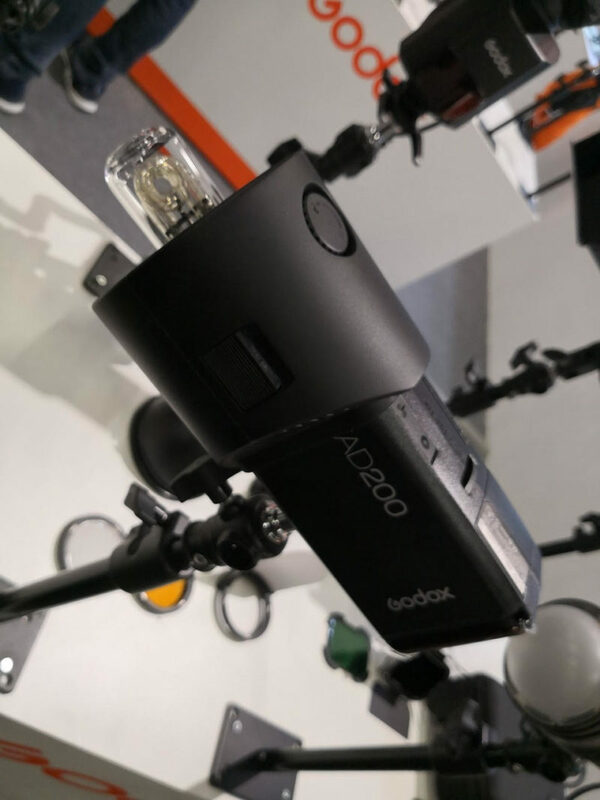 Godox is also set to announce a USB C charger for the AD200’s lithium ion battery pack. More details to follow—we will be attending the show on Wednesday and update this post or publish a follow-up, as appropriate. Godox’s exhibition at Photokina is on stand E031 in hall 4.2. Seen something interesting at the show? Let us know. If you are also visiting Photokina, why not join us in the evening at our reader meetup? Details on Facebook.